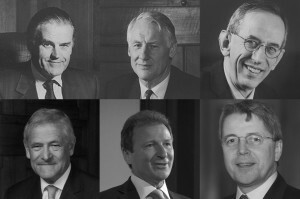 In this series of interviews, cabinet secretaries past and present speak about life at the centre, where the political leadership of the Cabinet and Prime Minister is translated into policy. The position of Cabinet Secretary is just under 100 years old. It was created by David Lloyd-George in December 1916 as a result of the tight government discipline needed to fight a world war. Since then Britain has had four Sovereigns and 21 governments; but only 11 cabinet secretaries – seven of whom have also been head of the home civil service. During this time the requirements of the job have varied and there is no fixed job description. What is required of the Cabinet Secretary depends on the personality of the Prime Minister, their style of leadership, the strength of their political position and their personal political priorities. The Cabinet Confidential series was funded by Queen Mary, University of London’s Centre for Public Engagement. It was produced by academics and students from the Mile End Group, Queen Mary's forum for government and politics, in partnership with Mile End Films the University’s in-house production unit.